February 7, 2019, Waterloo Region, ON - Today, the heads of Council for each local municipality in the Region of Waterloo, including the Regional Chair, met individually with Special Advisors to the Honourable Steve Clark, Minister of Municipal Affairs and Housing as part of the Province of Ontario’s Regional Government Review. As part of the Province’s review, the Special Advisors (Michael Fenn and Ken Seiling) were mandated to conduct initial interviews with all regional and local heads of council in early 2019 to elicit their views on an individual basis and to prepare for group consultations in spring 2019. Highlighting that communities within Waterloo region are working well under the current two-tier system in terms of governance, decision-making and service delivery. Under the region’s current system, area municipalities and the Region of Waterloo have a demonstrated history of successful collaboration on shared priorities. This instinctive and embedded culture of collaboration across municipal boundaries has positioned the region as one of Ontario’s strongest economic engines while also providing residents with high quality and affordable public services. Emphasizing that they are open to exploring opportunities that would help to: improve municipal service delivery; avoid duplication of activities; reduce costs; optimize infrastructure investments; and position the communities of the region to compete effectively on the global stage – now, and well into the future. Stressing that any potential changes the Province may choose must ensure that the region’s urban and rural communities are well represented; recognize their unique identities and history; and that the responsibility and accountability for service delivery is clear and measurably benefits residents. Making it clear that the Province must provide a meaningful opportunity for local municipalities, local residents and local businesses to come together to help define our community’s own path toward any outcome the Province decides upon, versus a provincially mandated change. It is hoped that this was the first in a series of ongoing conversations. 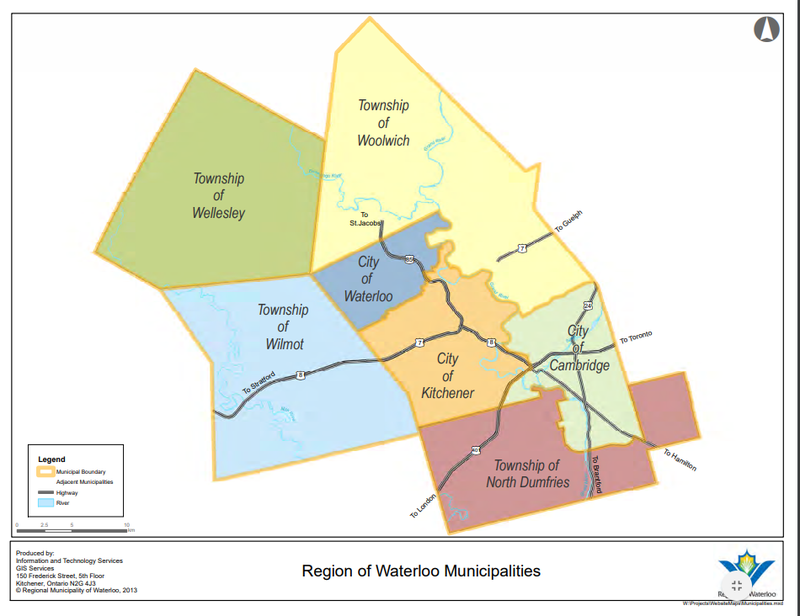 The Regional Government Review was announced by the province on January 15, 2019 to review the governance, decision-making and service delivery functions of eight regional municipalities, including Waterloo Region. The Terms of Reference for the Special Advisors can be found on the Province’s website here.